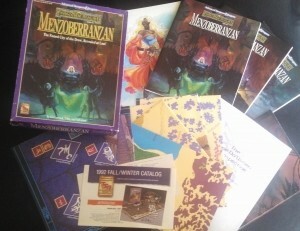 Menzoberranzan, along with many other boxed sets, has been sitting on a bookcase housing our collection of Rifts, Palladium Fantasy, Pathfinder, Dungeons and Dragons 3.0, Robotech, Teenage Mutant Ninja Turtles, Star Wars (both d6 and d20 versions) and of course Advanced Dungeons and Dragons (both versions) since my wife and I got together. I’ve perused it a few times for differing reasons, but seeing as we got a look at re-released Advanced Dungeons and Dragons this week from Wizards of the Coast, I thought it’d be neat to dig into our sets and see what might be something else they may want to make a new physical edition of, beyond providing PDFs, which this particular set isn’t yet available from their main website. Also, forgive the photos, it’s a muggy day and all my cameras are hating on me. There’d be more scans, but my scanner hates me too. There are advantages to reviewing PDFs you see. Originally published by TSR in 1992, following the successful Homeland Trilogy by R.A. Salvatore, which featured the Drow city in great detail there, TSR sought to capitalize on it by providing far more detail to the actual city than they had before for GMs and players, and the Forgotten Realms setting. 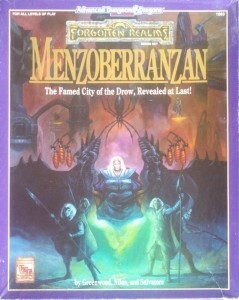 In that end, they succeeded quite well, tapping Ed Greenwood, R.A. Salvatore and Douglas Niles to write the three inner books that comprise the bulk of the box set, mapping out a guide to the city, a guide to the Drow houses and culture in the city itself, and an introductory adventure that can be run as Drow or as visitors from the surface. The only downside to the box set is that it is very city focused, and I’ll explain why that’s a downside in a minute. Let’s talk about what’s included that’s fluff, and then talk about the meat. There are four Poster Maps, and they are huge. They all interconnect to give you a full map, albeit a large one, of Menzoberranzan. There are over a hundred buildings on the map, but only a few are detailed, really giving the DM the opening to create something of their own here. These are borderline fluff and, while useful, they can be awkward, mainly because they are so big. There’s a poster that has the artwork from the cover of the box on it. Nice fluff, but fluff none the less. House Baenre gets a treatment on a poster, as if you were looking at it from a player character’s perspective, which is useful for that initial shock and awe, but after that is kind of fluff. They’ve included a graphic poster showing which minor houses support the bigger ruling houses, complete with family crests. The House Do’Urden Retrospective is mainly just a bunch of Drizzt musings from the books, with a brief write-up on a number of notable House members. It’s interesting, but if you’ve read the Homeland Trilogy, half of this is material you’ve already covered. Finally, you have the cards to flash players with, to give the adventure some flavor. Overall, it’s mostly useful visual fluff and doesn’t take up that much of the box. That’s where the books come in. Book One: The City is 95 pages of content, all about the city. It details Mages and their spells, some of the monsters you’d find there, Priestesses and rival gods, some of the city layout outside of the map highlighting things every visitor would see, and it delves into the daily life of the Drow there and the rumor mill for story and adventure hooks. The artwork from the cover of the box adorns this book, and most of the art within is decent, although very basic comic styled art with a map or two. While minimalist in approach, it is very meaty in that it’s full of detail. This one was handled by Ed Greenwood. Book Two: The Houses is 64 pages of content tracking several of the major players in the Drow City. Salvatore, Leger, and Niles triple team on the writing on this book. House Baenre is the dominant House in the book, followed by the other major houses of the time, though there has been some change between Advanced Dungeons and Dragons 2nd Edition and Dungeons and Dragons Fourth Edition. There are lots of minor houses covered as well, as well as a section on Bregan D’arthe, the male dominated mercenary clan at every Drow houses disposal. The cover to this one is the original cover to Homeland, the first of the trilogy. There is some character art in this, but more basic maps of the layout of some of the houses. Again more writing than pretty pictures. Book Three: The Adventure is another 64 pages of content written by Douglas Niles. 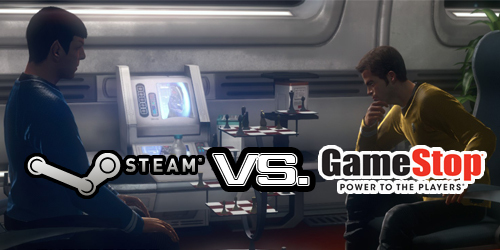 The adventure itself is designed for 5-6 players around levels 5-6. It’s designed for players who are pre-existing if they’re on the surface, meaning you can play non-Drow going into the city, or you can create Drow characters to play out the adventure with. You’re getting involved with the 25th House in the city, House Millithor, one that’s involved in the market and trading, so it makes sense that surface dwellers could get involved. As far as adventures go, it’s not terrible, but there have been far better Drow adventures published since, including Second Darkness Adventure Path for Pathfinder, which wasn’t perfect, but well done, and Rise of the Drow Trilogy from Adventure-A-Week. The cover to this one is the original cover for Sojourn, which is book two in the Homeland Trilogy. The art in this one is better than in Book One, although most of it is still comic style art, with only one painting inside, and that’s another replication of the box cover in black and white. Two of the player maps that you get giant sized with the card handouts are in the book as well. There is replicated artwork in this set from The Drow of the Underdark book released the previous year. Some big pieces, most of it flavor art. If I didn’t have both, I’d have never known. I mentioned that it’s all meat in these books with no mention of ads. That’s how TSR did it back in the day. The only ads, and these might be a curiosity to some, are a customer response card and the full color and mini-sized 1992 Fall/Winter Catalog. I don’t know if a used set will have these in it, and a new set is going to run you a few hundred bucks. Looking back on The Drow of the Underdark book, there’s ads inside it, but just one lone page in the back. It’s an interesting look back to that time for sure, compared to the five to ten pages of ads that can pop up in the back of books now. So if I love most of this set so much, where’s the problem? As a boxed set it’s incomplete to effectively run adventures in the Underdark. Yes, the main city is covered in great detail, but travel to and from is glossed over, and what you’d encounter in the dark depths isn’t really touched on here, other than the one portion in the adventure. 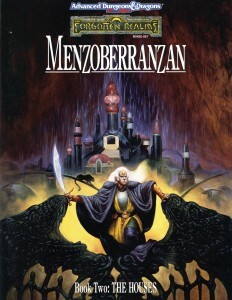 If you’re not running this as a standalone, you really need Drow of the Underdark, which is a book that was released the year before the boxed set, and possibly Drizzt Do’Urden’s Guide to the Underdark to really effectively use this for Underdark adventures. Drow of the Underdark is actually referenced a number of times by the boxed set, but the other book helps flesh out the world in-between the Drow cities a bit more. This doesn’t make this a bad boxed set. You’re getting everything they advertise off the back of the box. It was meant to focus on the city itself and give players a kind of hub into the Underdark or even an urban focused campaign area, for which Menzoberranzan works beautifully. Most players, though, don’t like to stay put in one spot for long. It’s not an adventure if you’re not out, you know, adventuring, although the political intrigue of the city might be more than enough for some. Overall, if you can find the actual boxed set, this is very much worth it to go with any Advanced Dungeons and Dragons and Forgotten Realms materials you’ve got. Even if you want the city to use in a standard setting outside of the Realms it works for that as well. While I like the book that Wizards put out last year, I do feel that this is a superior product, especially if you’re running Second Edition, but even if you’re running Third, Fourth or Pathfinder it’s fine. The new book felt too general to me, and even though it provided good information, this boxed set provides something more in depth with everything we were presented for the city in the new book. If you can find this set, I highly recommend it. Now to convince my wife we need to try a Drow campaign.